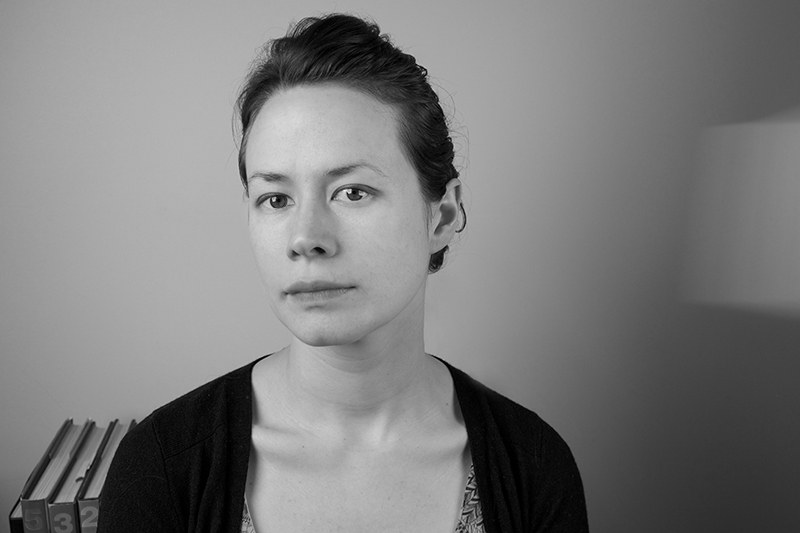 Meredith Clark is a poet and essayist living in Seattle. She is the author of two chapbooks, Residence and Land, published through the Dusie Kollektiv, and has been an artist in residence at The Vermont Studio Center and Art Farm. She holds a BA in creative writing from Oberlin College and an MFA in writing from The School of the Art Institute of Chicago. She is known as the proprietor of Seattle’s only mobile Poem Store. Please visit: meredithclark.net. Black Warrior Review: Could you tell me a little about the germination for this piece? Meredith Clark: I don’t want to be coy, but the germination for this piece is part of the piece. There really isn’t a moment of those early days that isn’t right there on the page. This is one of those works where there is absolutely no distance between the writing and the thing itself. The reader is breathing the same air I was. BWR: What was the most enjoyable thing or moment about writing this (lovely, lovely) essay for you? Was there a moment when you thought “damn, that’s it!” :). MC: There have been so many enjoyable moments in this writing process. The times when I feel that I’m taking dictation more than I’m writing, those are my favorite. BWR: I recently had a peanut butter and jelly cupcake from A la Mode in Kansas City, MO (the jelly reduction on the cupcake was amazing!) that reminded me of childhood. Have you ever had one of those nostalgic experiences with food, savory or sour or sweet? MC: Anything with cardamom is a direct line to my brightest and most expectant childhood memories. BWR: Is there a food you really like as an adult that you just hated as a kid? BWR: Is there a lyric essay or nonfiction work (or any genre I suppose) that you particularly love or has had an impact on you? MC: Sheila Heti’s How Should a Person Be? really changed me. Changed my understanding of how a written work can function, changed my thoughts about my own approach to writing, and added a few phrases to my everyday language. It has had the wonderful and challenging effect of making me try to be more honest in my work. BWR: If you were to recommend one essay for readers, what would your “must-read” essay be? And why? MC: One? I’ll say, at this moment and for this purpose, that Mary Ruefle’s essay “On Secrets” from her book Madness, Rack, and Honey is the one. It unfolds carefully and with great grace into one of those flowers the size of a dinner plate. BWR: Best piece of writing advice anybody has ever given you? Likewise, worst piece of advice? MC: The best piece of writing advice anybody has ever given me was write when you want to write. For a long time, I misunderstood this as don’t write when you don’t want to write, and that was pretty simple advice to follow. It took me a while to understand that I was seeing this the wrong way: I must write when I want to write. It’s a “when the spirit strikes” kind of thing. At the moment when I have a flash of an idea, I have to drop what I’m doing and write it down. I have tried to recapture that initial blaze after the fact, but it never returns. The worst piece of writing advice? Steal from the masters. Unconscious theft is frequently genius, because it has been processed and distilled by your own mind into something that is, actually, your own. But conscious theft makes for writing where the seams show. You have to be authentic to yourself. MC: April Fool’s Day. I spend a lot of time coming up with ideas such as convincing my partner I’m in the hospital with appendicitis, or booby-trapping a neighbor’s house with jelly beans. Jelly beans in slippers, spice jars, ice cube trays, jelly beans that poured out of the medicine cabinet when she opened it. I think she regretted giving me the spare key. BWR: Most favorite obsession? Do you have one that makes it into your work without you first noticing? MC: There was a joke in a writing class I attended that you could leave the names off all the poems we workshopped and mine would be instantly apparent because there would be fruit in it somewhere. I was astonished to discover that was true. Today, there is still a fair amount of fruit in my writing, along with plants, seasons, and photographs. I am always searching for ways to place something in time, season, or image. Also, you will know me by my commas. BWR: Who do you write in the wake of? (Someone asked me this once, and I think they meant an assortment of things by it, so I’ll ask you with no more explanation than they gave me :). MC: Left to my own interpretation, I imagine a literal wake—a trail of small waves from larger vessels and me, rocked by them. The waves that touch the vessel I am rowing would be made by more people than I can name here, but some of them are: T.S. Eliot, Lorine Niedecker, Carole Maso, Maggie Nelson, and Annie Dillard.